A Scottish born Islamic scholar is urging Imams across the country to challenge those in the community who take Quranic text out of context to justify violence against women. Earlier this month, Shaykh Amer Jamil delivered a keynote speech at a conference organised by Strathclyde Police. The one day seminar was attended by Imams, community representatives and womens organisations. According to Shaykh Jamil those who use the Quran to defend cruelty towards women must be re educated on their understanding of their religion. There are two main organisations that cater for victims of domestic violence within the Muslim communities in the Glasgow area. Tabassum Sarfraz, development worker at Amina Womens Resource Centre, reveals that 11% of calls to their helpline were from women seeking advice on domestic violence. This made it the second highest call category behind family matters. 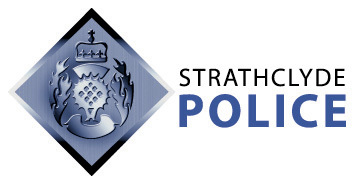 Figures from Strathclyde Police show that last year there were 27,616 domestic violence cases across the force area from all communities. In a bid to overcome these concerns the force is launching Third Party/Remote Reporting specifically for domestic abuse crime. The introduction of these measures will offer victims, witnesses and third parties the opportunity of reporting the crime without having to speak directly to a police officer. However there is concern from senior officers within Scotlands largest police of the under reporting of domestic violence in the Muslim community. Drew Pryde, a race relations officer, says perpetrators will not be able to hide behind cultural and religious practices.